Are the Days of New York City’s Historic Garment District Numbered? Once the global epicenter of American manufacturing, New York City’s historic Garment District is little more than a relic of a bygone era. In its heyday in the 1950s, the area bounded by 35th and 41st Streets and Sixth and Ninth Avenues hosted the largest concentration of high-rise factories in the world, supporting more than 100,000 manufacturing jobs and producing nearly three-quarters of all women’s and children’s apparel in the country, according to Urban Fabric: Building New York’s Garment District, an exhibit opening at the Skyscraper Museum in Battery Park on Wednesday.But the neighborhood as we know it may not be long for the world—that is, if Barbara Blair Randall, executive director of the Fashion Center Business Improvement District, has anything to do it. Already overhauled once, the Garment District may undergo its biggest transformation yet. Earlier this year, Randall solicited suggestions for a name that better reflects the neighborhood’s changing demographics. No more a stronghold of pattern-makers, cutters, sewers, pressers, and finishers, Seventh Avenue is now populated predominantly by online-media companies and architecture firms. Even a 1987 zoning law reserving 50 percent of the space for traditional garment production didn’t stem the manufacturing exodus overseas. No more a stronghold of pattern-makers and sewers, Seventh Avenue is now populated predominantly by online-media companies and architecture firms. Randall’s real work, however, will be in revamping the neighborhood’s ground-level retail space. The Fashion Center BID wants to replace the “mish-mash” of fast-food restaurants, banks, and bodegas with high-end shops more deserving of the buildings’ unique architecture, most of which were erected in the 1920s. 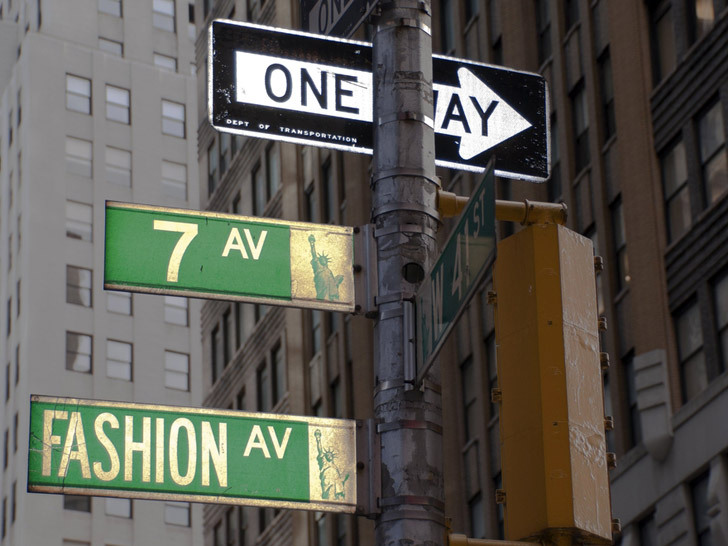 I work on 7th avenue, and would welcome stores that carry clothes representing the NY fashion and apparel and accessories trade and clothes made in this area. Right now, clothes and accessories are low quality, with unknown labels, originating from unknown workshops, and do not reference in any way the incredible behind the scene efforts and achievements of NY Fashion Houses. This environment has never been representative of what Fashion Avenue is about, and the industry must be revived, to start with an ennobled environment. Keep the banks and supporting industries on the second floors, where they will be known to the industry they serve. Totally agree with you, clothing today is all overseas crap! Overpriced, of course, poor quality, ill-fitting, without a doubt. But all that matters is the bottom line, profits. How sad that greed is more important than producing a garment with pride. Wearing a garment of high quality that actually fits properly is a thing of the past. Luckily, when I saw this starting to happen, I started to save many of the clothes I wore in the 80's, classic, beautifully made, that draped & fitted perfectly. Even today, when I wear retro, it makes me feel, elegant, proud, to wear the garment. I get compliments all the time! Most saying, I knew it was retro, you can't find American quality like this anymore. Ever wonder why clothing stores are going out of business? I used to love to shop. Now all the stores have the same high-priced overseas, high priced junk. Workman ship, quality fabrics, loose buttons, crooked seams, poor-quality zippers, linings? What's that? Made by poor people that don't know what quality even means, if u look at what they wear. Many children, I am sure. Sure, more people shop online, it's more convenient, i won't waste my time shopping for clothing , after its washed or cleaned, it shrinks or gets all stretched out, so becomes unwearable, so u go out by more junk & the same thing re-occurs all over again. No thanks. I will keep what I have. We need those beautiful clothes from the garment district back again! 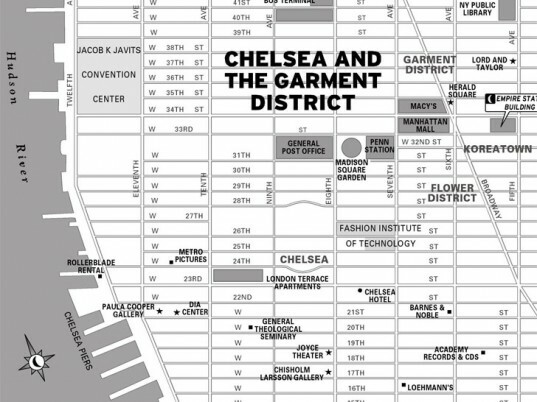 Are the Days of New York City's Historic Garment District Numbered?